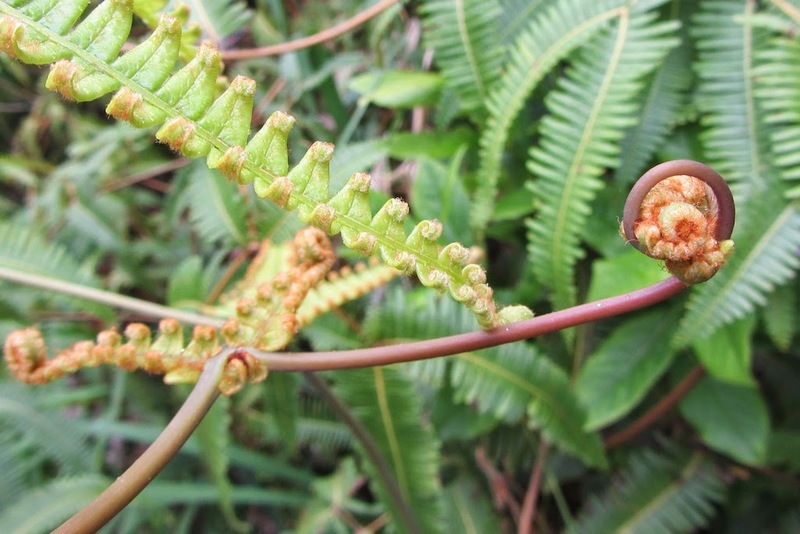 Ferns are among the first plants growing on the cinder and ash fields after the volcano erupts. 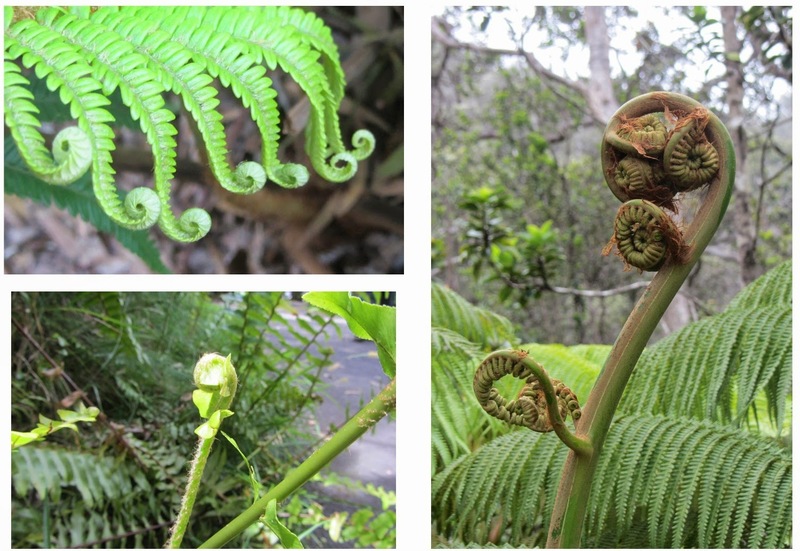 As we walked around Volcano National Park trails, we enjoyed seeing the many shapes and forms of ferns, especially the fascinating spirals at the tips of growing leaves and stems. 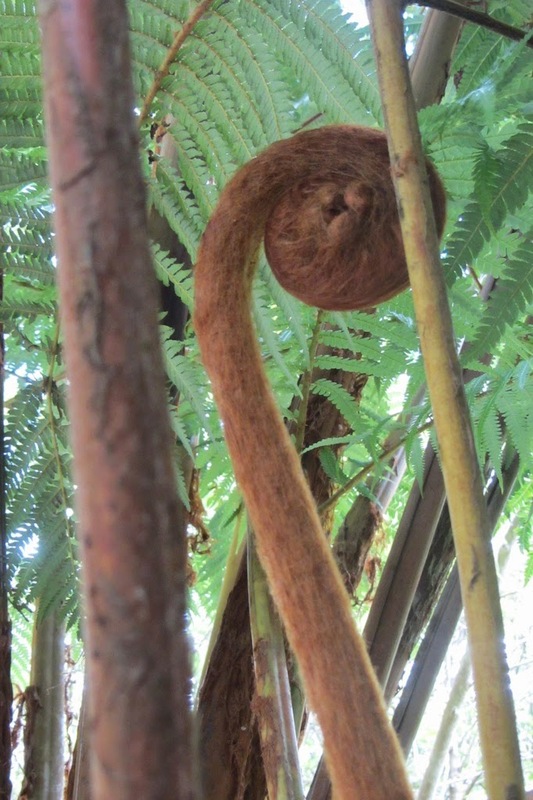 Hawaiian ferns include the Kupukupu, the Palapalai, and the Hapu'u pulu. 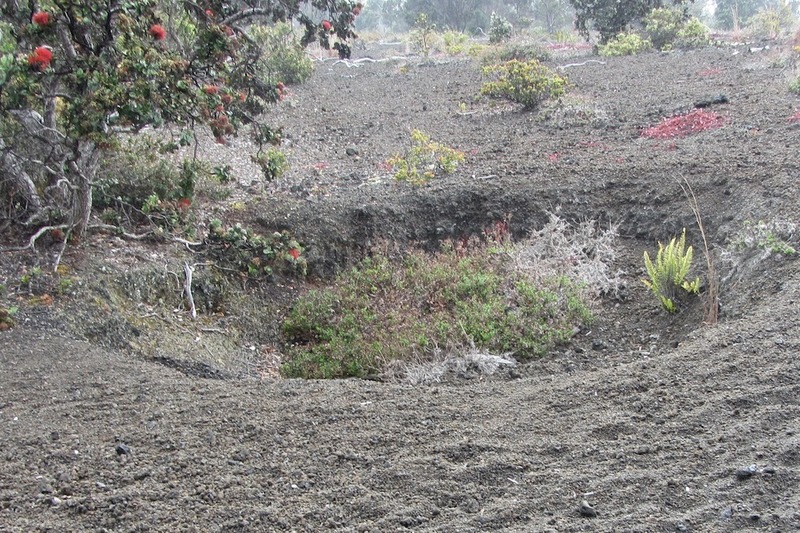 which sprouts on newly formed lava fields and cinder cones. Ohi'a lehua's blossoms are a favorite with some of the native birds. 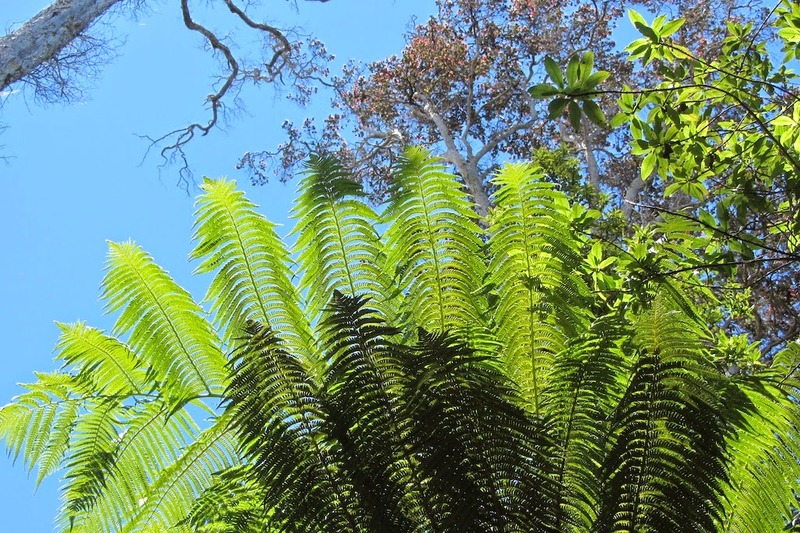 Palapalai fern -- another Ohi'a lehua rises above it. eating nectar from the flowers. Hapu'u pulu has a woody looking growth tip. 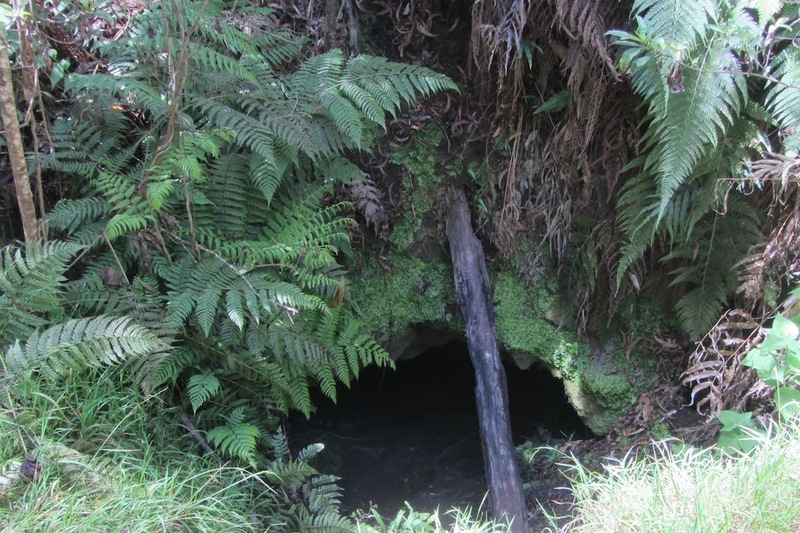 at the bottom of a steep indentation in the ground. Beautiful pictures. Hawaii has such beautiful plants.